From this point we need to leave our cars and transport the team and equipment by snow mobiles. The area which is the focus of our exploration lies in a national park close to the village of Stora Blåsjön in the county of Jämtland which is situated in the north of Sweden. The area is riddled with cave openings and there are records of cave exploration dating back to the middle of the 20th century. These cave openings have different names in different countries; in Mexico for instance they are called cenotes and in other countries sinkholes. In Sweden, however, and old term dolin is used. Dolin is a landscape feature where ground collapses (due to erosion) into a water filled cave found below. This is our entrance, a window into the underground world! All of the caves found in the area belong to the same limestone karst window and they might, in theory, be a part of a single enormous cave. 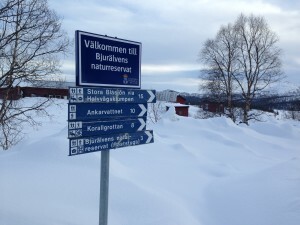 Although, until connections between them are discovered they are treated as different caves and each gets its own unique name, The cave we have been exploring originates in Dolinsjön (Dolin lake) and bears the name of Dolinsjö cave. Bjurälven is the valley where the limestone formation is situated and hence the name of our expedition – Expedition Bjurälven. The rain hall. A 100 meter long hall, found in 2013. To get here the divers need to swim 450 meters in to the mountain. 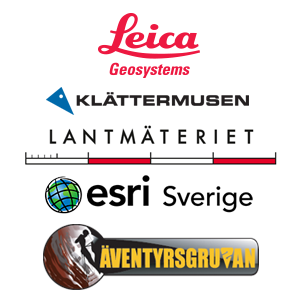 Through the efforts of the expedition the map of the Dolinsjö cave has been growing longer and longer each year since the start in 2007. The total length of all the passages is now close to 2.2 kilometers and the cave is the longest underwater cave in Sweden. 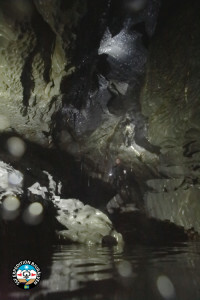 Exploration is now carried out in the third sump of the cave. This means that to get to the end of the known territory, divers have to come up into dry passages on several occasions and then continue diving on the other side of such a passage. The cave is strictly sidemount in the beginning although is gets much larger after a tight entrance passage which is approximately 50 meters long. Some more restrictions further in the cave as well as the need of negotiating dry passages to continue diving make the use of sidemount equipment necessary. The first dry passage was discovered in 2013 after some 450 meters of water filled cave. The passage is approximately 100 meters long and contains a large room where rain constantly drops from the ceiling (rain hall). The roof in the rain hall is approximately 8 meters high. The ceiling is low only in one part of this dry section so that negotiating it can be done almost without dropping on the knees – a fairly easy walk. 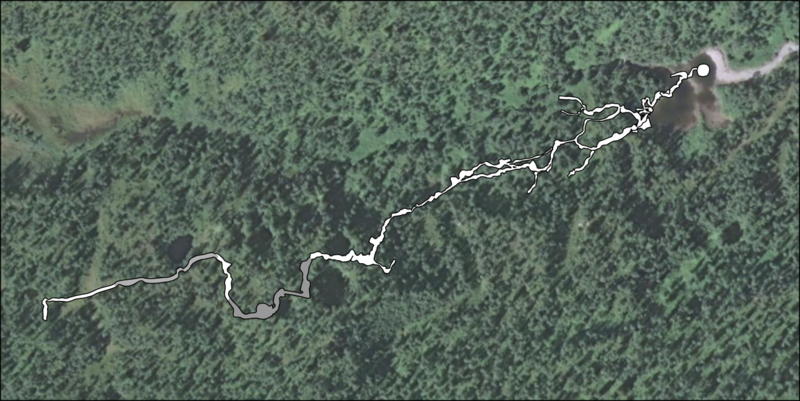 After transporting all the equipment to the other side, the diving can continue through a wide and low passage until another dry section is found some 70 meters upstream. This one starts with a small climb, but otherwise is not very complicated to negotiate either – some 100 meters later, the third sump starts. This is where the exploration finished in 2014. To map the cave the divers measure all accessable tunnels by hand. They then the use a radio beacon system to get a surface location of strategic parts of the cave and by using a high performance GPS we can create maps over the cave system. Cool place, I must go there! It’s beautiful up there, been there many times, not a diver though 😉 You are some tough brave men! Thanks a lot for sharing your exclusive experience. Good effort and sharing. Keep exploring and be safe!